We shot a beautiful wedding on Friday at Dunes West. The ceremony was set beneath a large old oak tree backed by water wandering towards the setting sun in the distance. The bride had come to us with and idea just a couple of days before. 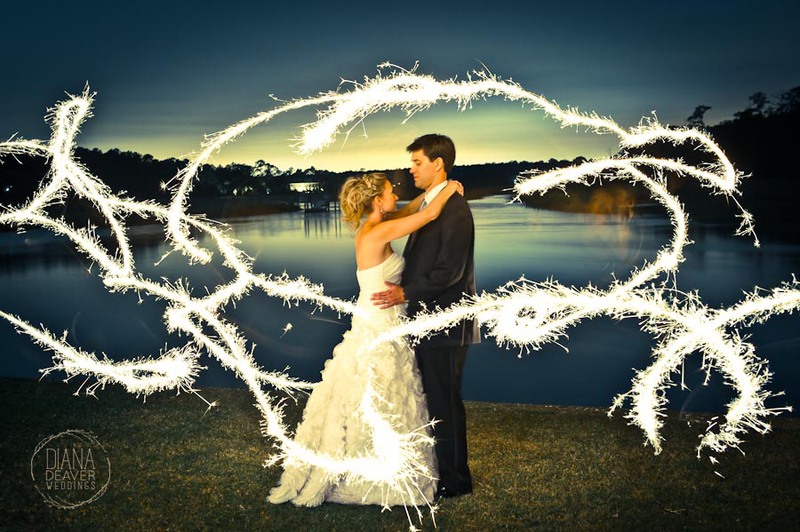 She wanted to try a shot at night using sparklers to paint in streaks of light around the couple. She later commented that it would look “like a fairytale”. Naturally, we were all for it. Well into the reception, after the sun had set and most of the guests were dancing the night away, we stole away the bride and the groom, lit some sparklers, and went to work. Here’s what we got.